Home The NewsMill Army refuses to ply convoys only on Sundays, Wednesdays. Army refuses to ply convoys only on Sundays, Wednesdays. The Army operated a convoy on Monday notwithstanding an order of the Jammu and Kashmir government that such movement of vehicles should take place only twice a week — Sunday and Wednesday, army officials said. The officials, who spoke on the condition of anonymity, said the order would hamper the operations of the army. 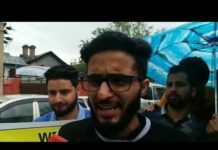 The officials claimed there were no consultations with the army officers concerned before the order on the convoy movement for security forces was issued. 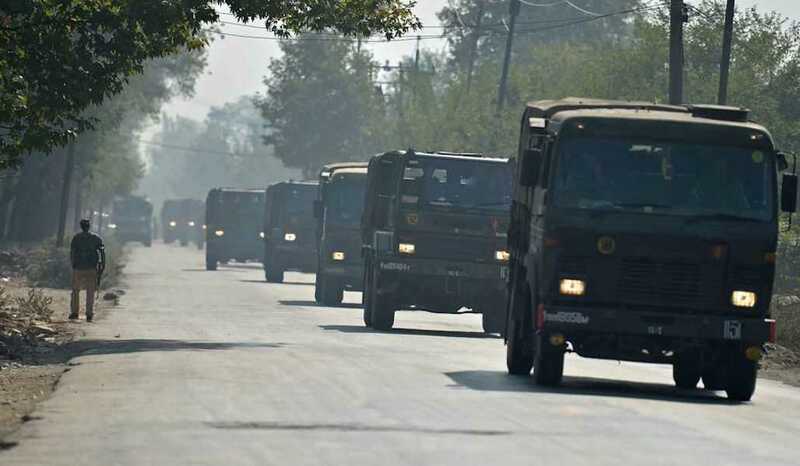 “During informal talks, it was made clear to the state officials that such an order was not possible to implement,” said an officer who is engaged in convoy movement. The state Home Secretary Shaleen Kabra on the directions of Chief Secretary B V R Subrahmanyam issued an order on April 3 in which civilian traffic was restricted on the national highway from Udhampur in Jammu region to Baramulla in North Kashmir on Sunday and Wednesday every week till May 31 to facilitate the smooth movement of the convoys of the security forces on those two days. However, there was movement of army convoy on the highway on Monday and at some places even the CRPF vehicles were seen. There was no formal reply yet to a query sent by PTI to the spokesman of Army’s 15 corps. 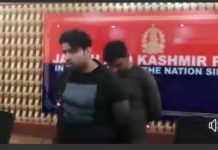 Former Jammu and Kashmir chief minister Omar Abdullah also posted a video of an army convoy moving on Monday while the civilian traffic was plying normally on the other side of the road. “Here’s another full strength convoy. I’m simply trying to highlight the point that the architects of the highway closure have made no application of mind. Somehow this convoy on the highway is safe today but it wouldn’t have been yesterday (Sunday) and won’t be on Wednesday,” he tweeted while taking a dig at the state administration. “If it is safe for SF convoys to move on Monday WITHOUT closing the highway to civilian traffic, why is it not safe on Wednesdays & Sundays? Nothing proves the mindlessness of the order more than army movement on ‘unsafe’ days. This road is part of the highway by the way (sic),” Omar further tweeted. Previous articleCurfew-like restrictions imposed in Kishtwar after firing in hospital. 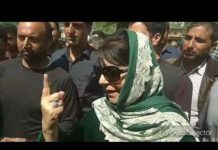 Next articleIf Art 370 goes, India’s Kashmir story ends: Mehbooba.